I’m not going to list everything you can get in this expansion to Space Empires 4X. Please go to the Close Encounters website and or check out the “unboxing” video on YouTube (at http://m.youtube.com/?#/watch?v=mQmDOiRbBeY). For the sake of understating, I will say there’s a lot of game pieces (ships, ground unit counters, better rendered home planets, etc. ), and another well crafted guide booklet that provides clear yet flexible explanations on how to integrate said pieces along with new scenarios, and game play variants on top of that. How’s that for a run-on sentence? I’ve been playing SE4X pretty regularly the last two weeks–roughly 12 games; a third solo). Due to the many variants the base game presented itself with, I have only integrated two of what appears to be over a dozen new elements and hundreds of pieces from the expansion. One addition I will mention is the Titan ship that is basically a more mobile Death Star. These ships seem to be one definitive answer to the Doomsday Machines, which is a tad disappointing. Titans are very powerful and may encourage a one track strategy for gamers gunning to only destroy opponent’s planets. I guess that is the point of the game, isn’t it? My point is, I’m a fan of everyone struggling a bit to muster up a space armada that is not guaranteed solely based on size to successfully take out another player’s planet or fleet or both. Call me old fashioned. With that said, GMT has built a system that won’t break should I integrate a house rule that provides the Titans with a weakness. In all, I had already “drank the cool aid” with the base game. Though I did wince at the price of the expansion, I bought it anyway and am not disappointed thus far. I haven’t done the math but there are dozens of modular elements that you can mix and match within a SE4X sitting, thus an exponential amount of games to play. This might make it challenging yet also fascinating when playing against new, experienced players. I look forward to trying as many elements as possible. This exceptionally high replay value makes the base game and Close Encounters expansion well worth their price. Enjoy. Greetings fellow Atlanteans! Sorry to interrupt Beardly the Bard’s latest top ten hit, but there’s this huge, helmeted guy carrying his own banner and serated sword the size of a hinder cat. His name is Volkare and he’s heading this way! Feel free to panic. Some say he was a general and was once a Mage Knight himself. But he’s been gone for quite some time and looks pretty vengeful. I’d say by the looks of his posse…um…Legion of ornery goblins, minotaurs, dragons and wizards that they’re more geared towards kicking cuirass and taking guild associations later. Now, my name is Tovak. Yes, I am a Mage Knight. Fear not though, I have a +2 reputation, and if I play my cards right- 8 influence points to recruit a few of you thirsting for adventure more so than the watered down mead in this place. So whose up for helping me take on the 7 foot dude with the 7 foot sword and his minions? I can promise you a wealth of fame points…should we live, that is. What say you?! Okay, so maybe that’s what I would say aloud to my son as I played Tovak and witnessed the steady and deadly encroachment of Volkare and his Lost Legion upon the portal. Can you tell I like to have a little fun with this game? The size of his legion can change by turning a dial on the base of his figurine. I love this feature to the game. Adjusting the strength of Volkare’s legion as well as the four cities that come with the base set provides an incredible amount of replay value. Volkare creates a great focus for the Mage Knight adventures whether it’s solo, cooperative, or includes PvP. I could see (or hope) the designers would consider adding adjustable base dials to special caves/dungeons, castles, New enemies and/or other mystical lands. Volkare and his legion are a beast to defeat. Such a challenge and the replay value makes Mage Knight one of my most played games. I’d bring my initial 8 to a 9 or even 9.5 if I could. I am a huge Civilization PC gamer before purchasing the board game. I remember playing and enjoying Civ II on a 486 Compaq Presario. That seems a thousand years ago. I actually bought the board game a few years ago and tried to get into it with my son (at that time he was probably 9 or 10-younger than the recommended age, but he’s an astute gamer). Back then the learning curve seemed too steep and the game was shelved, that is until a month ago. Having charted a couple of hundred of hours on the PC based Civ 5, I was hungry for a different yet familiar civ fix. I read a few reviews of games like Through the Ages, but decided to dust off my shelved Civilization game and give it another try. My only regret is that my son and I did not learn the game two or three years ago when I first bought it. Since learning the rules and mechanics of the game we went two weeks straight playing almost every night. On one occasion my son had to remind me that it was a school night for him. The board game came close to the time altering phenomena that has happened to me countless times with the PC version- the making of a dozen “last” moves. With the help of the expansions (especially Wisdom and Warfare), there’s a wealth of choices of cultures to start from, as well as more regular tiles and special ancient sites. The battle system has been fixed (again thanks to Wisdom and Warfare), simple and fun. There’s a lot of layered strategic planning and actions that take place every round, which I certainly appreciate. My son and I seem to win best through Tech and Economic victories only using two cultures. Out of curiosity I’ve tried other cultures and have not been able to duplicate the same consistent results. Granted, my son and I are a tiny sample size, and though we have played a lot, we’re committed to playing more and varying our strategies. In all, like most games with a lot of tiles, layers, and stages- the initial learning of the game could be a bit daunting. I recommend you stick with it and in due time you too might lose all sense of time. GMT provides suggested locations for placing up to three Space Amoebas. As suggested by the guide, a roll of the dice or players’ agreement would determine when the Amoebas would begin to spread their…ooze…from tile to tile, engulfing all in their path unless stopped. These locations are a good distance away from one’s home system; on the outer edge of the very dangerous outer system (marked as white tiles). I see where the Amoebas are and I know when they would commence their deadly consumption towards my core planets. Though they’re scary just as they are, being the board game masochist I am, the Amoebas are not scary enough. In the outer reaches of space there lurks the nondescript Danger! tiles, Barren planets that might host hostile alien fleets, black hole markers as well as many as three formidable Doomsday Machines. Why not hide one to the Amoebas out there as well? The Space Amoebas tile cannot hide since both sides indicate it is (or was-yes they can be stopped) an active oozing tile. Nothing can probably ooze in the vacuum of space, but that’s another story. I’ve expanded the capability of the Danger! tile whereby a 10 from a 1d10 would mean I’ve awakened an Amoebas of some predetermined strength, and a 6-9 roll raises the attention of an alien fleet. Hey, let’s face it-space is a very dangerous place. That’s what makes this game a lot of fun…and sometimes scary. My 12 year old son and I are really enjoying Space Empires 4X. We will soon integrate parts of the Close Encounter expansion, but while we’re gaining confidence with the base game, we’ve decided to make a variant that would increase the presence (and dangers) of space, while helping to specify a tile marked “Danger!” that usually results in instant death though we do not know from what. GMT has included their variant that provides a player a 20% survival rate, yet we still don’t know from what. Nebulae and Asteroid Fields effect a ship’s movement and offense and defense, but are 100% navigable. A ship or squad has a 60% chance of surviving a black hole (and 20% survival rate for a risky sling shot move). Thus, if you have the misfortune of flying into a “Danger!” tiled hexagon, know that you have awakened a 1d10+2 fleet of Borg-like aliens from their dark slumber. Pull the alien ship’s randomly from a small bag. The player ship(s) that stumbled upon the “Danger!” will have to fight it out with this fleet. Should the alien fleet win, they will follow the turned over(cleared) tile path towards the player’s colonies and/or home world. The alien fleet will adhere to movement rules as created by GMT. Should you defeat this force, you will get to choose a random Alien Tech card (from the Close Encounter expansion), or a new tech as agreed by the players before the start of the game. This additional alien presence will certainly add more challenges and adventure to your game. Enjoy. After playing the prescribed scenarios several times, I started to mess with the shape of the Mage Knight “world”. I’ve created a circular world where green tiles eventually transform into the brown tiles then back to green as one takes a full lap and returns to the portal tile. This means not having tiles in the center, and players could choose either direction to start their adventure. My son and I have “raced” around this circle while accumulating as much fame as possible as we battle foes, and capture mage towers and cities along the way. The tiles that come with the Lost Legion expansion pack may be necessary. I use the A side of the portal tile to keep the circle 3-wide. My son and I will visit our FLGS that’s listed on this site. Our fingers might be itching for a fresh new box of fun. With that said, we have some more Heroes of Metro City, Carcassonne and maybe Pathfinders ACG to play. I’m going to roll up my sleeves (and my son’s sleeves as well, if he hadn’t already) and tackle, splat, bash, and bonk those menacing minion, vile villains, and…angry archenemy?….(No. Not strong enough)…anarchist archenemy in Heroes of Metro City. I will also bring Adventure Pack 2 of Pathfinders to a close. Having been a big Sim City (PC) fan for many years, I decided to back Town Center 4th ed. Looking forward to getting the latest and greatest iteration of it in Nov 2014! I just introduced Settlers of Catan to my son and his friend. I was never so happy to lose to the birthday boy (my son’s friend) who was gifted the game. He’s so hooked. Aaaaah…I love converting people to board games…and BSG reruns. Will probably play some digital Carcassone and Ticket to Ride, and keep working through the middle scenarios of Pathfinders Adventure pack 2. I’m enjoying digital Carcassonne and now want the analogue version. I just started playing digital Catan and Ticket to Ride and am playing those as often as I can in order to better familiarize myself with rules and strategies that I can execute at a later time when I anticipate playing as a board game with friends and family. I appreciate how quickly I can play the digital versions without worrying about game pieces or replenishing the bean dip. Of course, nothing beats true human interaction and variant gameplay that you just can’t get from a digital version of a board game. Nice addition. More motivation for me to get to level 6. Playing Carcassonne and either Pathfinders tcg or Space Empires 4X. My son and I are working on Adventure Pack 2 of Pathfinders:ACG, and we plan on settling into a 3+ hour/epic 2-player Space Empires 4X, rife with Doomsday Machines, Alien squadrons and Alien Tech (if we’re lucky). 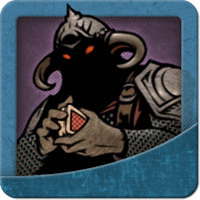 I am playing Pathfinders the card game. I’m in the middle of Adventure pack 1, and loving every Goblin Henchman moment of it. I’m building four separate characters through solo play, but also enjoying triumphs with my 12 year old son. Could BGDot please list the 2nd Edition? That is the one I have. Hey @Budgie, congrats on the purchase! The very short answer to your q is “Yes, I’ve played HoMC three times since it dropped at my doorstep.” First impressions: it is fun to create a hero for the day; to come up with a goofy name, and try to inflict a little righteous pain on the minions, villains and archenemy…I am compelled to include lions and tigers and bears as well. 🙂 I may or may not do a full review…my jury is still out on a definitive impression on the game. As I stated, some elements are fun, though others…well??? I’m reluctant to share what I’m not too keen on just yet. If I think I have something worth contributing I will write a review. But, as you said–HaiKulture and MChez really knocked out great reviews. I look forward to your first impressions post play. Maybe your thoughts will help me…my jury, come to a verdict. Enjoy. Hmmm…I see what you mean @HaiKulture. HoMC is like an okay dish in need of a little dis and a little dat. Oh well…they can’t all be homeruns. Maybe the expansion will help. A pinch more of co-op should help, but is it enough? As always, great suggestions HaiKulture. Thanks again. Ordered my copy a day ago. Can’t wait to try it out with a Scrabble-fond family. 2+ hours into SE4X. I’ve awakened a Doomsday Machine who is now heading towards my colonies. I might be able to draw him away from my territory and into my son’s region with a lowly Miner. Not sure how the Miner will fare in deep space, but I’ll have to try. I also drew the attention of two Alien Squadrons that were parked at two deep space barren planets. I was able to fight off one squadron, and the other is far enough away to allow me time to prepare for its arrival. Bring it!This is fun! I appreciate Wind Lane’s response but am not totally buying it. The programmers could make this for the latest Jellybean Android OS and/or to run on android tablets such as my Kindle Fire HD. Hey! How about an android version of this? I like games that challenge me. I'm not afraid of complex rules, but I do appreciate modular aspects to gameplay. I'm into 4x, history, sci fi and fantasy rpg games. Right now I'm really enjoying Space Empires 4X, Civilization, Mage Knights and Pathfinders the card game.